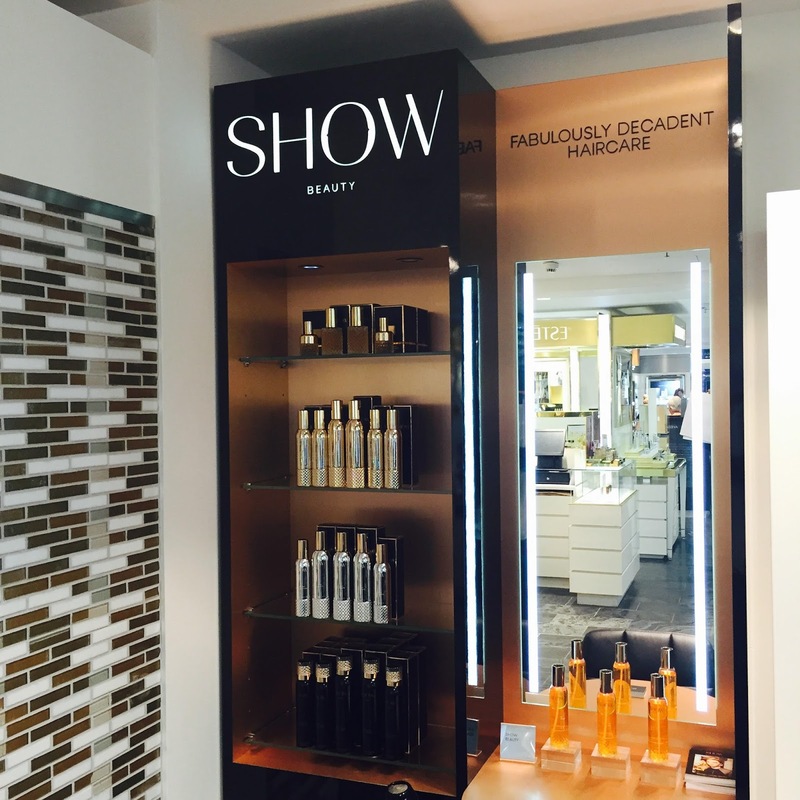 The other week I was invited to the Show Beauty bar, in Harvey Nichols, to sample one of their famous blow-drys. I didn’t know what to expect from a blow-dry where you hair isn’t washed first but I’m pleased to report I was pleasantly surprised. Their Express Blow Dry service is only £20 and I have to say it feels a little decadent but totally worth it. I chose to have mine before an evening out after work and this did the job in refreshing my hair and making me feel fabulous. The lovely Chelsey really looked after me, she made a valid point that when your hair is done your feel more you. I had to agree, when my hair is looking good I feel like I can do anything. Anyone else? Their products really leave your hair looking and feeling amazing. There were 3 products in total used on my hair and these were: Lux Volume Mist, Divine Thickening Lotion & Pure Treatment Oil. I have real problem with creating lift and volume in my hair and these products helped to give it an added bit of va-va-voom! The products smell like you could eat them too, I kept getting a whiff of my hair every now and again, it left me craving chocolate! I would recommend the service for a special event or if you just need a pick me up. I guarantee you’ll leave feeling a million dollars. I was surprised to find out that Tamara Ecclestone is the lady behind the brand, I do love a #GirlBoss. She launched the brand in 2013 and the first Blow Dry salon was launched in March 2015 in Notting Hill. Since then more have being popping up, with one in Milan opening the other week. I was also sent a rather amazing package from Show Beauty with all the products that were used on my hair and more. I’ll be trialling these over the next couple of weeks to see how I get on with the perfect home blow-dry. Of course I will report back, wish me luck! "Beauty: M&S Holiday Beauty Essentials"